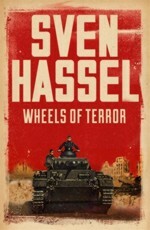 Weidenfeld & Nicolson/Orion published an illustrated version of Sven Hassel’s iconic war novel WHEELS OF TERROR, with illustrations by the Spanish artist Jordy Diago, in paperback and eBook on 1 October 2015. 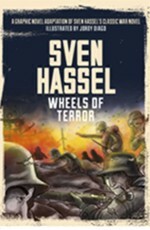 WHEELS OF TERROR: THE GRAPHIC NOVEL vividly captures the violence and inhumanity of the Second World War, and was published to mark the 70th anniversary of the conflict’s conclusion. 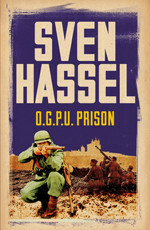 Over 2013/2014, all fourteen of Sven Hassel’s iconic war novels were reissued by Orion with stylish new covers. 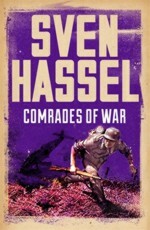 Sven Hassel, who died on 21st September 2012 aged ninety five, was the author of a series of fourteen war adventure novels, based on his own experiences serving in a penal regiment during World War Two. Of the band of friends he writes about, Tiny, Porta, the Legionnaire, the Ol’ Man, Heide, Gregor Martin and Barcelona, only Tiny, the Legionnaire, Heide and Sven himself survived the war. The novels are about the lot of the ordinary soldier in a terrible war, harsh conditions and experiences, survival and heroism, all laced with dark humour. The novels were reissued by Weidenfeld & Nicolson/Orion as follows: LEGION OF THE DAMNED (2003), WHEELS OF TERROR (2003), MONTE CASSINO (2003), SS GENERAL (2003), LIQUIDATE PARIS (2004), REIGN OF HELL (2004), COMRADES OF WAR (2004), BLITZFREEZE (2004), MARCH BATTALION (2007), ASSIGNMENT GESTAPO (2007), COURT MARTIAL (2007), THE BLOODY ROAD TO DEATH (2007), OGPU PRISON (2008), THE COMMISSAR (2008). 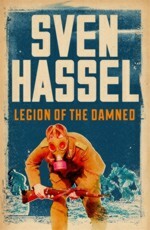 Sven Hassel is a major brand in fiction with global book sales since first publication of LEGION OF THE DAMNED in 1953 of 53 million copies, of which 15 million are in the English language. 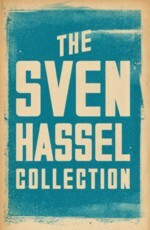 Sven Hassel was a huge seller in the UK in Corgi paperback editions in the 1960s and 1970s. His career was re-launched in the mid-1990s, since when his global sales currently stand at around 5 million (included in above figure of 53 million) across twenty five languages. 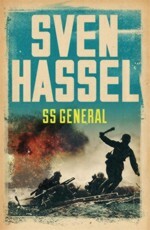 Sven Hassel was born in 1917 in Fredensborg, a small village in Denmark, and joined the merchant navy aged fourteen as a shipboy. In 1936 he did his military service and in 1937, to escape the unemployment in Denmark, he joined the German army as a volunteer. Initially he served in the 2nd Cavalry Regiment, and later in the 11th and 27th Panzerregiment. He fought on all the frontlines except that of North Africa, and he was wounded eight times. Sven was a POW from 1945 to 1949, in Russian, American, French and Danish camps. 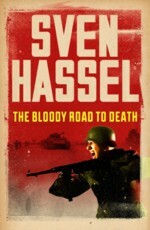 Sven Hassel married in 1951, and lived in Barcelona from 1964 until his death in 2012. His literary affairs are managed by his son, Michael, and his grand-daughter, Mireia. “This is a book of horrors. And should be left alone by those prone to nightmares . . . A great war novel” Alan Sillitoe, author of SATURDAY NIGHT AND SUNDAY MORNING, of the original novel. “It is with a deep sorrow and a void in our hearts that we inform you of Sven Hassel’s passing, this Friday September 21st, at 95 years of age. Sven’s health had been deteriorating rapidly, especially in the last few days, and although he fought bravely till the end, his heart finally gave away. It lightens our grief to know that he is now finally at rest and reunited with his beloved wife. “Sven had a contagious laughter that came straight from the heart. He had an incredible will-force, which he at times carried with a serious expression, a product of surviving the horrors of war. But in reality this expression hid a soul full of passion for life and a childlike wonder, only a special few are able to keep in their adult life. He was a survivor, a fighter, a storyteller and a dreamer. 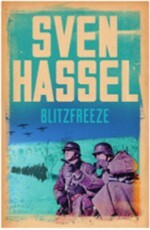 “While Sven has left us behind to continue his journey onward, we will forever find the essence of him in his 14 books that narrate the story of his experiences in WWII along with his platoon and comrades of war. It was his hope that these books would depict the terrors of wars so that the younger generations would dedicate their lives to saving men and not destroying them. Professor David Childs’ obituary of Sven Hassel, published in the Independent, Thursday 15th November 2012. 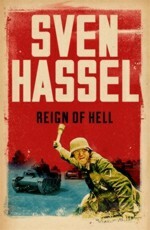 Sven Hassel was a remarkable but controversial author who wrote successful novels set on the Eastern Front in the Second World War. Starting inn 1953 he published 14 novels, written in the first person, which were translated into 25 languages and published in 50 countries. Born Sven Pederson in 1917 into a working-class family in Zealand, he later adopted his mother’s maiden, German, name, Hassel. 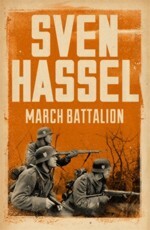 Roughly 6,000 Danes, about a quarter of them from the German minority, volunteered to fight against the Soviet Union after the German invasion in June 1941, but Hassel was different in that he joined the German army before the war. He had by then worked on Danish ships as a cabin boy. Unemployed after completing his military service in Denmark in 1936, he left to enlist in the expanding Wehrmacht in the following year, before becoming a German national and a tank driver. His unit, part of the 2nd Panzer Division, took part in the invasion of Poland on 1 September 1939. The objective of the division was to capture Krakow, where it came against the improvised but well co-ordinated Polish defence and suffered heavy losses. 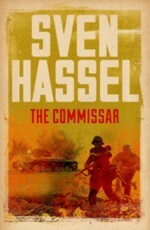 Hassel served on all fronts except North Africa during the Second World War. At one point he went AWOL. Wounded seven times, he was eventually promoted to lieutenant and was awarded the Iron Cross, 1st and 2nd class, plus a number of other medals. He ended the war in Berlin as a prisoner of the Soviets but was moved from one ally to another. 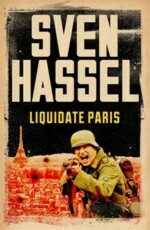 He was released in 1949 and believing civilian life offered him little he, like thousands of other ex Wehrmacht soldiers, found the appeals to join the French Foreign Legion seductive. But instead of ending up in Vietnam he was lucky enough to meet Dorthe Jensen. They married in 1951. He went to work in a car factory, but Dorthe encouraged him to write. He had started work on his first and best-known book, LEGION OF THE DAMNED, while still a prisoner. It was published in Danish in 1953 and in English four years later. 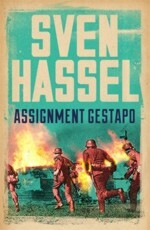 Said to have been based on Hassel’s own military service, it gave his readers brutal descriptions of life in a German wartime penal regiment. These so-called Strafdivisionen [punishment divisions] were set up in October 1942 as mounting losses forced the German High Command to trawl the concentration camps and prisons for more cannon fodder. Often these soldiers were anti-Nazis who were forced to carry out construction work at the front. Many of them defected. 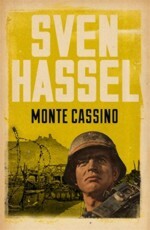 In 1957, Hassel was stricken by Caucasian fever, a sickness contracted during the war, causing total paralysis. He was not cured till 1959. During this time, he received a letter from his English publisher urging him to continue writing. 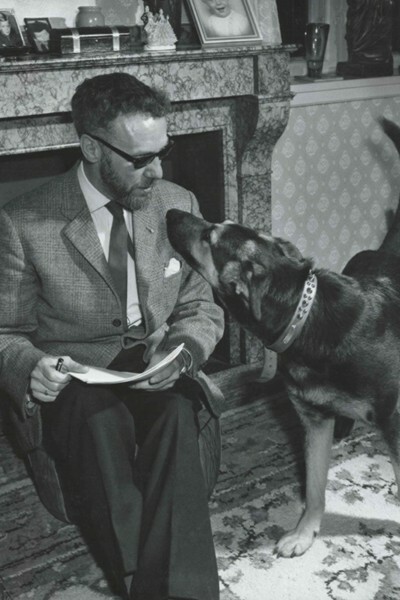 Two more books were published – WHEELS OF TERROR (1958) and COMRADES OF WAR (1960) and he became popular round the world. 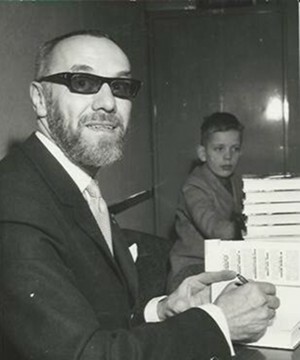 In 1946 he moved to Barcelona, where he continued to write. Dorthe died in 2003. They had a son and a grand-daughter. His last book, THE COMMISSAR, appeared in 1985. The 1950s was a good time to publish this type of work: West Germany was debating rearmament and the new armed force, die Bundeswehr, was established in 1955. Many Germans were against this and welcomed anti-war literature. Others would reply, “War is brutal but we must defend what’s left of Germany.” Young volunteers of the Bundeswehr were certainly reading Hassel in 1957. In truth, these novels could appeal to both sides; they gained their greatest popularity in Britain. In 1987 his wool WHEELS OF TERROR was into a film, THE MISFIT BRIGADE, with Oliver Reed. 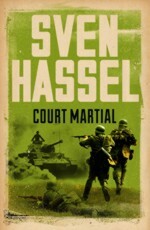 Some historians pointed inaccuracies in Hassel’s novels but Hassel was more concerned about his depiction of war. He claimed he had been greatly influenced by Erich-Maria Remarque’s anti-war work ALL QUIET ON THE WESTERN FRONT, and it was his hope that his books would show the horrors of war so that younger generations would dedicate their lives to saving lives rather than destroying them.